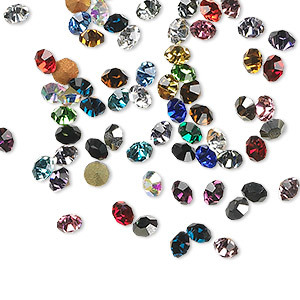 Chaton mix, glass rhinestone, mixed colors, foil back, 1.6-1.7mm faceted round, PP10. Sold per pkg of 72. Item Number: H20-4206BS Have a question about this item? 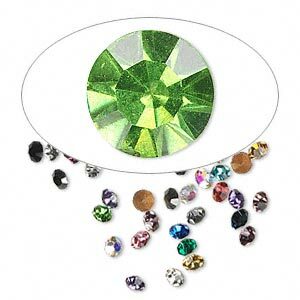 Chaton mix, glass rhinestone, mixed colors, foil back, 2.4-2.5mm faceted round, PP18. Sold per pkg of 72. 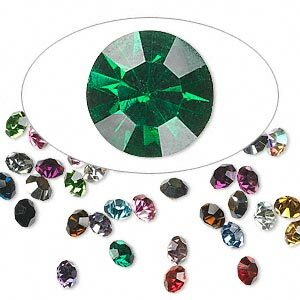 Chaton mix, glass rhinestone, mixed colors, foil back, 1.8-1.9mm faceted round, PP12. Sold per pkg of 72. 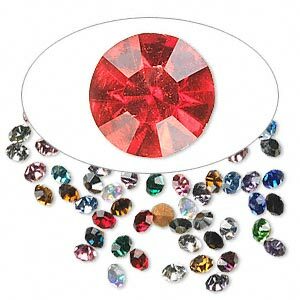 Chaton mix, glass rhinestone, mixed colors, foil back, 2.0-2.1mm faceted round, PP14. Sold per pkg of 72. 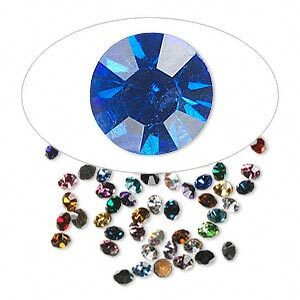 Chaton mix, glass rhinestone, mixed colors, foil back, 1.5-1.6mm faceted round, PP9. Sold per pkg of 72. 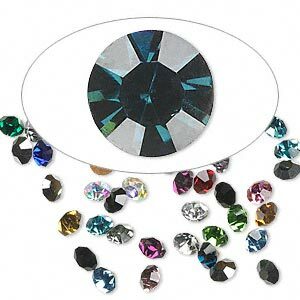 Chaton mix, glass rhinestone, mixed colors, foil back, 1.3-1.35mm faceted round, PP6. Sold per pkg of 72. 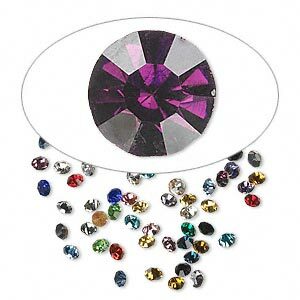 Chaton mix, glass rhinestone, mixed colors, foil back, 2.2-2.3mm faceted round, PP16. Sold per pkg of 72. 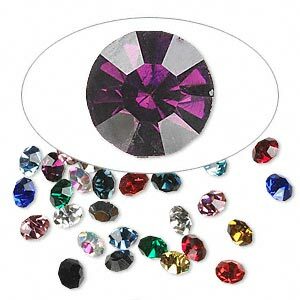 Chaton mix, glass rhinestone, mixed colors, foil back, 1.9-2.0mm faceted round, PP13. Sold per pkg of 72. 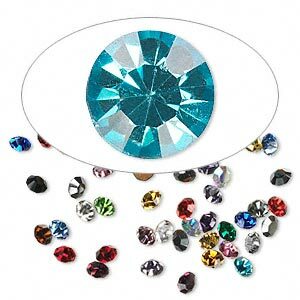 Chaton mix, glass rhinestone, mixed colors, foil back, 2.1-2.2mm faceted round, PP15. Sold per pkg of 72. 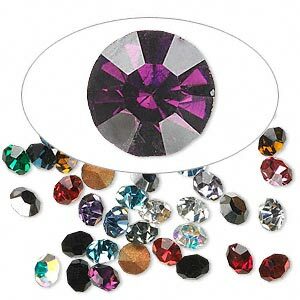 Chaton mix, glass rhinestone, mixed colors, foil back, 1.4-1.5mm faceted round, PP8. Sold per pkg of 72. 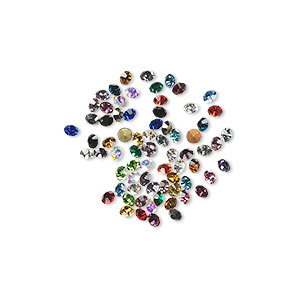 Chaton mix, glass rhinestone, mixed colors, foil back, 1.7-1.8mm faceted round, PP11. Sold per pkg of 72.